Critical Role has excited many new fans about the world of Dungeons & Dragons. Each week, the show attracts hundreds of thousands of viewers, who watch it both live and recorded. 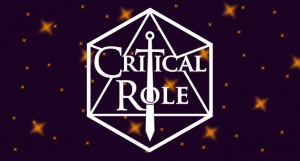 Overall, Critical Role has garnered over 50 million views since its launch in March 2015. The cast includes Mercer, Travis Willingham, Marisha Ray, Taliesin Jaffe, Ashley Johnson (Blindspot), Sam Riegel, Liam O’Brien, and Laura Bailey. Additionally, the show has attracted quite a few celebrities who have joined the cast as special guests including Chris Hardwick, Felicia Day, Wil Wheaton, and Phil Lamarr, to name a few.